After another international break, domestic football returns this weekend, supporters are eager to see their teams back in action. Following two weeks of Euro 2016 qualifiers and some uninspiring friendlies, fans of Serie A would usually be happy to see the Milan derby among the fixtures scheduled for Sunday. Undoubtedly one of the world’s most glamorous rivalries, it is held in one of the game’s grandest stadia in the fashion capital of a country known for its chic and style. Their regular meetings have underwritten the narrative to many of Italian football’s greatest stories, from the original split of the clubs in a row over foreign players to becoming the embodiment of the league�s heyday in the 1980�s and 90�s. It has pitted Milan’s Dutch trio of Marco van Basten, Frank Rijkaard and Ruud Gullit against Inter’s Germans, Andreas Brehme, J�rgen Klinsmann and Lothar Matth�us. A Champions League tie was abandoned after fans were so unhappy with a refereeing decision they not only forced the game to stop — after a shower of flares rained down onto the pitch — but also saw UEFA hand down its largest-ever fine. Yet Sunday�s 213th edition of the Derby della Madonnina could not stand in more stark contrast to those glory-filled memories. Named after a statue of the Virgin Mary sitting atop the Milan Cathedral, the famous figurine has rarely overlooked such a desolate time for the city�s two clubs, both struggling to remain relevant this season. Milan, led by former striker Pippo Inzaghi, began the campaign brightly enough, scoring eight goals as they won their opening two games and looked set to challenge for a Champions League berth. Since then their form has dropped, recording just two more victories since and currently sit in seventh place, winless in their last four outings in the league. But their problems pale in comparison to those across the city, Inter plunged into genuine turmoil by events thus far in 2014-15. Long-standing owner Massimo Moratti resigned his post as Honorary President, a position handed to him by Erick Thohir, the Indonesian to whom he sold his controlling stake in the club. The shock exit, which left fans stunned, is believed to have stemmed from a disagreement between the two men about the direction in which the Nerazzurri were headed. Inter have looked disjointed all season, a point reinforced by Cagliari�s 4-1 demolition of them at San Siro. A loss to Fiorentina followed, and the side appeared to lack the urge to fight for results, creating huge pressure for Walter Mazzarri, and it was immediately after that display that Moratti made his decision to quit. Narrow 1-0 wins against Cesena and Sampdoria � with both goals coming from penalties � fooled nobody, and the subsequent match against Parma saw Serie A�s bottom side emerge with a 2-0 win. Their opponents had lost their previous six matches, yet Inter had seemingly no idea how to break down Roberto Donadoni�s resilient and resolute defence. Draws against Saint-�tienne and Hellas Verona followed, and finally Thohir had seen enough, sacking Mazzarri and bringing an end to his ill-fated tenure. A day later, Roberto Mancini was appointed as his replacement, the former Manchester City boss instantly ushering in a fresh wave of optimism at the club. In his previous spell, the 49 year steered the club to the league title twice following the Calciopoli scandal, building the team which Jose Mourinho would guide to Champions League glory in 2010. Mancini left the club two years prior to that memorable treble, sacked and replaced by the Portuguese coach, despite winning the league title. Regardless of the ignominious end to his first stint on the Inter bench, it is easy to see why Thohir has convinced the coach to return, and has perhaps appointed the ideal man for the club�s current situation. Mancini understands the Nerazzurri mindset, and provides a link to their most recent triumphs, a link severed this summer when Javier Zanetti�s retirement coincided with exits for the last stalwarts of those title-winning sides. His appointment has seen fans find fresh hope, believing Mancini can once again build a team to compete at the top and his managerial career to date certainly supports that view. While he struggled to compete in Europe when his teams were awash with cash, perhaps his greatest accomplishments thus far came when he was working under much tighter financial constraints. Guiding both Fiorentina and Lazio to Coppa Italia wins � and steering the latter into the Champions League � Mancini oversaw those clubs at a time they were selling their best players and cutting their wage bills significantly. With Inter currently trying to comply with Financial Fair Play regulations, their current status is much more in-keeping with those previous situations. Mancini will hope to have an immediate impact, telling La Gazzetta dello Sport it was �an interesting coincidence� that the derby would be his first match in charge. Both he and Inzaghi would receive a major boost should they emerge victorious, and it is clear that whoever wins will take much from a positive result against such a historic rivalry. 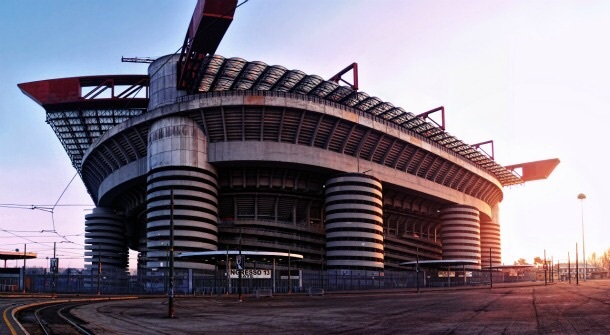 Despite the melancholy and malaise currently enveloping both Milanese giants, whoever manages to secure a result on Sunday will become a hero to their respective supporters and � for 90 minutes at least � San Siro will once again be the place to be.